When John and I were married in October 1998, Hershey was still young. My bridesmaid was my half-sister Jessica, who was just eight at the time. She and my father and stepmother Jen stayed with us for a couple of days before the wedding and made the acquaintance of Hershey and Pushkin. 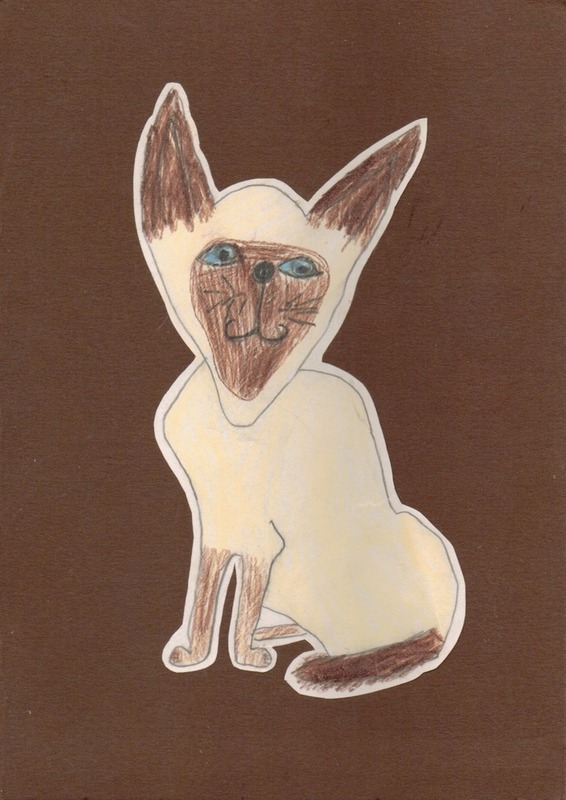 A few weeks later I received this brilliant portrait of Hershey in the post and I have kept it safe and treasured ever since. It’s so full of character; I just love it and always have.